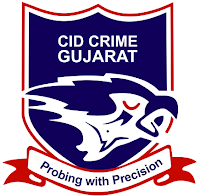 Gujarat Police CID Crime and Railways has published Advertisement for below-mentioned Posts 2018. Gujarat Police CID Crime and Railways has published Advertisement for below-mentioned Posts 2018. Other details like age limit, educational qualification, selection process, application fee and how to apply are given below. How to Apply: Eligible candidates may send their application to email id cc-cid@gujarat.gov.in before the last date.